Amazing people, amazing experience. Above and beyond service. As always, Zara is fabulous and revamps my hair. The colour and cut is flawless (if I do say so myself). I’ve been going to Zara for 6 years now, and trust her completely. She is incredible at what she does & I always leave feeling fabulous and like I have caught up with a friend! Not from Leicester, I booked an appointment at Danique. The service was excellent all round. Having explained what I wanted to Tara, she began. We had lots of discussion about my hair and different products, her knowledge was in great I left with exactly what I wanted and some products that I could instantly see worked for my hair. Now after a few days, I am happily styling my hair with ease, thanks to the cut and the products. Danique is a gem and I’m glad I stumbled across it. Best salon in Leicester! And I’ve been to many! Brilliant salon- the best one by far! The staff are welcoming and extrememly talented when it comes to hair- they certainly know what they are doing and I never leave disappointed. 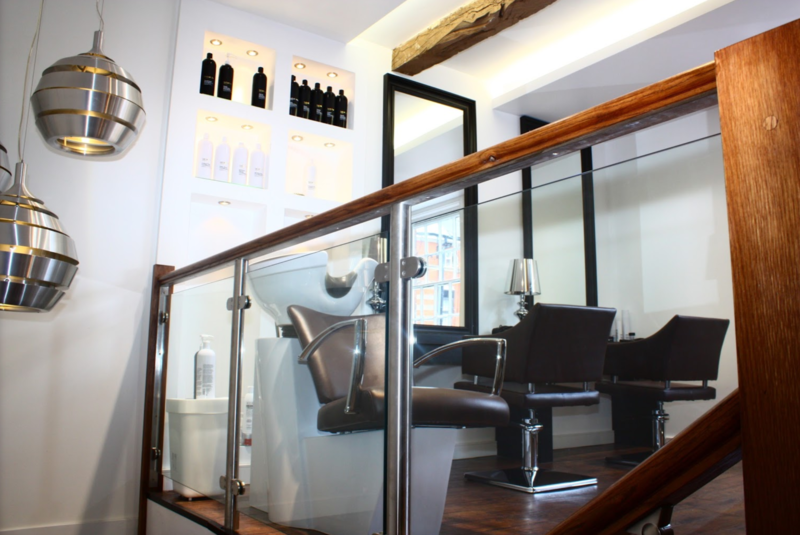 The team at Danique actually listen to what ‘look’ you’re after, they give great hair advice and also give you a fashionable hairstyle no matter what age you are! Emergency Calling Danique- Haircut time!!! Kerri has taken me through,daring cuts and colours over years(18yrs),keeping me modern and up to date! The hair stylist was very friendly and cut/styled my hair the way I wanted it, the hairdressers was very clean and modern. Will go again.